It was March 2013, and Wajihah came across a tourist at Brunei International Airport, who was struggling to find out how to get to “Brunei national park” (which she found out was Ulu Temburong National Park). She accompanied the tourist to Bandar Seri Begawan, in search of accommodation in the capital, and information about travelling to Temburong. It became clear, to the dismay of the ladies, that basic tourist-friendly information and services were still lacking in Brunei. View our video interview with Wajihah here. Stirred by this story – not the first of its kind – in April, Wajihah and a group of friends decided to find out more about what a tourists typically face in Brunei, by donning “tourist outfits” for a day. Goal: To travel from the Brunei International Airport to the Kampong Ayer Cultural and Tourism Gallery, from the point of view of “tourists”. 1 Brunei International Airport is a gateway for visitors to Brunei. They will spend their first 30 to 60 minutes in the country there, and one of the first things they will seek is information. There should be better signage all around, showing clearly (and correctly!) how to find something. What we couldn’t find: an information counter, and where to catch a public bus. Those who work at the airport should be aware of general airport facilities. A map of the airport should be provided, even throughout all the development phases of the airport. The map should clearly show locations of facilities and exits. There should be information about places outside the airport grounds, to guide visitors who are not using taxis or tourist buses. We saw no information indicating the nearby Airport Mall or shopping complexes, or facilities such as public bus stops, mosque, petrol station or hotels. All options for transport out of the airport should be provided in one place. This includes maps, prices, timetables or operating hours. Have an awareness of visitors’ increasing need to be connected. What can be provided: Free Wi-Fi hotspots throughout public areas of airport; prepaid mobile lines sold at shops. 2 It is often overlooked that the bus station at BSB is also a gateway for Brunei, for travellers from Sabah and Sarawak, as some will not even go through the Brunei International Airport. The bus station should be taken seriously as a gateway, and have improved information and services as well as a welcoming environment for new visitors. There should more signs indicating that visitors have arrived in Bandar Seri Begawan, the capital of Brunei Darussalam. There should be a map of BSB showing locations of attractions or useful places in the BSB area. There should also be information about other tourist destinations outside of the BSB area and how to travel to them, from BSB. 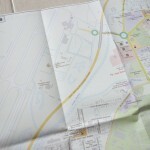 3 Brunei is still missing basic things such as maps for tourists and availability of information. Not all visitors to Brunei have things sorted out for them by a friend or travel agent, and, like most travellers, want a degree of independence in a foreign country. In a large area such as the airport, a map of facilities and services would be helpful. On display at major shopping complexes. Alternatively to brochures, make travel websites that fulfill the same function. Schedules or operating hours for tourist attractions. Information shouldn’t only be available at the destination itself. We had to travel across the river from the Waterfront, to find out that the Kampong Ayer Gallery was closed early on Friday morning. Our experience as tourists happened on a Friday morning in April 2013. It is now October, and things have not remained unchanged. Recent developments on public transport include: the new colour codes for public buses; a video by a tourist criticising Brunei, mostly Bandar Seri Begawan, which received tons of hate mail from Bruneians. Despite this, we believe our experiences and findings are still relevant. We are interested in addressing the overall tourist experience in Brunei, which will not improve by only providing brightly-coloured buses. Those providing services to tourists must adopt an attitude of providing information that is actually useful to visitors. In the future, issues regarding tourism and public transport may be addressed by the Brunei Tourism Board, in the expansion of the Brunei International Airport, in Land Transport Department’s Land Transport Master Plan, or in the BSB Masterplan. We do not deny the progress made by these different agencies to improve their services. We only hope that, in their separate programmes and efforts, they will recognise tourism as one of their common goals, and are able to work together towards improving the tourist experience in Brunei. Have you ever helped out a tourist? If yes, what was your experience? What public information or facilities do you expect when you are travelling abroad? What do you think are the difficulties experienced by authorities or companies, for transport and tourism? Hello. Enjoyed this post. I felt it addressed the practicalities of being in Brunei if you’re not local. I travel long haul quite often and people who go on to connecting flights to Australia often choose just to stay in the airport. I feel your post answers many questions as to why. My own views, I am often puzzled by discussions about Brunei and tourism. I often ask, what is it exactly we are promoting and how would we attract tourists? What is the “unexpected treasure in this kingdom”? The idea behind this is usually an ideal around buzzwords for example “culture”, “heritage”, “tradition”, “history”. But why don’t you ask the Bruneian next to you what these words mean to them – if there is really something rich and in depth beyond just saying these phrases. I am not saying these phrases are vacuous but rather perhaps the answer lies in an awareness of our obligation to give them back their meaning. Not just saying them for the sake of saying them. Take history for example — I often wonder how much is being contemplated beyond nationalistic history. What might appeal instead is the story of the everyday narrated through our surroundings: take a look at Bandar Seri Begawan, you can almost feel the stories coming to life by the different architectural styles and how space is configured. Why is this building here and why is this shaped this way? There is politics behind them, there is a way of life being expressed, and ideas coming across in just that medium alone. Do you not wonder, even as a non-tourist, what life was like 25, 50, 100 years ago? Yet we settle for what is easy to present: the mosque, the palace, the regalia … some kind of bite-size tourist treats which usually only appeal to visual awe. Yes I know they have history too, but they feel more consumerist if anything. The shiny things … all over in 1 hour of SLR clicking and instagraming. Of course, the spectacular is easy on the eyes and makes for polished photos on glossy guidebooks. There is a separation with what we can see and what actually is the everyday. It is partly to do with the space within which we dwell as people living in Brunei. I remember feeling dismayed whenever I visit one of the local ‘parks’ being developed. I somehow always feel that the thinking behind the creation of the space (park) is very disconnected with dwelling as a practical matter. The parks feel synthetic and there is never enough shade – I feel awkward in such a space which feels it was designed because it was thought to look good. Another way to think about this is the way we name places. Regent Square? Time Square? What are behind these names? It feels weird saying them as if I am trying to be in another city. But it rolls off the tongue nicely – trendy – an illusion of another metropolis returned to the Brunei dweller in the form of a name that doesn’t match its space. Another example is the new airport signs which come in symbols, English in alphabet, and Malay in jawi. You really have to ask, who is reading the Malay in jawi? What is it there for? Again, there is this separation between what we can see and what actually is the everyday. In truth, this small example is quite telling of the chasm that exists between the everyday and the presented. I feel thinking in this way address some of the things in your post. There are brochures, signage, bus stops, places to go – but it feels from your video that there is really nothing behind these things. It’s as if they’ve all just made there to sound good with substance that’s left wanting. Until we get thinking profoundly about what we can offer not only to tourists but also ourselves, tourism yet remains in the distance appearing close as if seen through binoculars. I really like your point about “easy” tourism, and how BSB can a much more fascinating place if you consider its history. I was reading recently about how “curiosity” gives a richer experience when travelling instead of absorbing guidebooks or guided tours which dump a lot of facts on you and don’t assume you want to explore on your account (this was in “The Art of Travel”, Alain De Botton). What, exactly, can the tourism industry or related authorities do? Is it just that, say, travel brochures and guided tours about Brunei are not very interesting? Or, as Matrosyhka said below, the marketing of Brunei as a travel destination has mostly settled on being a “green heart of Borneo”? There are actually exhibitions for Kampong Ayer and Bandar Seri Begawan, but how do these provoke people’s curiosity about the history? Would it help if, as you suggest, people consider sharing “stories”? Are there any censorship issues with regards to how much the Museum Department or History Centre’s copywriters (if there are any) can refer to how politics or history affected something, like the chosen architectural style of a building, or why a building exists? What a very good post! I never help any tourist around Brunei, but i have been approached by tourists when I was a student in London. The first thing they would ask, ”where is …” and ofcourse i showed them the way. I brought them to this Barclays bicycle map where it shows a mini map of London then show where they should go and which possible transport you can use. so I think we really need to use brochures or maybe a big map that shows in the airport showing the roads, transport systems and so on. Furthermore the airport workers should go around and be active in the airport. What I mean by this is that they should go outside and looking for any possible ‘lost’ or confused tourist. This will definetly will help the tourist. As well that wll bring a good image of Bruneian people. The other thing is that maybe we could make an organization that works with the tourism industry that would try to help to work in the airport. Such as maybe like ‘taxis’ or buses that is specifically for tourist only and it will be cheaper. From here i think it will help the tourist easier. I know in the negative side, the taxi drivers would maybe lose a lot of money beause of this, but I think this is a possible solution for the country to tackle the transportation problem. This organization possibly can work with the RBA and the tourism sector. lastly, I think the government should consider to uplift the Pusat Belia. Pusat Belia is considered as a government property. If it looks dirty, it will bring bad image of Brunei and its government. Hi and thanks for your comments! I’m curious about your idea of having an organization that works with the tourism sector. Why have a separate taxi system from the current taxi system? My concern is that taxi drivers probably don’t earn a lot anyway due to relatively low level of tourism in Brunei – thinking as well that that “big money” tourists are most likely using package tours and already have tourist buses prepared for them. Also, what else would this organization do other than provide alternative transportation? I believe Pusat Belia is currently undergoing renovation so I’m looking forward to their future look! They’ve already started with the paint jobs, as far as I can tell. What is your personal experience of Pusat Belia? Bruneian authorities are quite the hypocrites. If it’s a foreign delegation or diplomats they’ll send luxury cars and vans. If it’s foreign tourists they treat them like mosquitoes and hope they will go away. I actively urge tourists to stay away from Brunei, until MIB is replaced with Common Sense. Brunei’s tourism is a shame. Currently studying in Canada, I’m proud to be Bruneian. When my Canadian friends asked if they should ever visit Brunei, i didn’t know what to say. Why? Well, first off the transportation has always been an issue. No one is taking any action it seems. In my humble opinion, i think that whoever is in charge of tourism and etc just don’t like change(or fear change rather). Secondly, i personally think that although there are efforts being done(airport upgrade, bus route colour, etc), the direction is not there. An airport should have easily accessible information. I’m sure many of us(definitely including the tourism board) have been around many different airports, use their example as a building block. Do something…! 1) Can we make a bus route through the airport? 3) Information table with a knowledgable staff? 4) Is information table visible upon arrival? 6) ….and it goes on. All it takes is to think like a first time visitor. I think that could potentially get the tourism going in the right direction. On the other note, good post! I really hope it gets more awareness. Assalamualaikum. Just my few cents’ worth of opinion. – Tourists DO exist in Brunei; some come independently while others (especially Chinese and Koreans?) come in travel agency-organized groups. – Despite its efforts, I agree that Brunei has not established its own ‘brand’ of tourism yet. Perhaps the closest one would be Brunei’s uniqueness as the “green heart of Borneo”. – Brunei has a dilemma, perhaps a hard one policy-wise, of not attracting “mass tourism” (e.g. by keeping alcohol banned) while trying not to be too selective by only focusing on a niche market (e.g. focusing only on Brunei’s lush green rainforests). – The authorities might have big and ambitious ideas, but I’m betting these ideas are mostly just on paper still! They are just painfully slow and why it’s this way is anyone’s guess (it seriously is, lol). Perhaps it’s ineffective leadership? Poor planning? Bruneians’ work ethics? – With our still huge (but declining) reserves of black gold, tourism is sadly just not on the priority list, yet. Sure, “Brunei is trying to diversify”, “Economic diversification is important!”, “We need to move away from oil and gas!”, etc., but I guess this comes back to leadership and planning. – Brunei does not want tourism (or more like mass tourism) to taint/pollute/corrupt/exterminate/destroy (Note: exaggeration intended) the country’s culture and values. Lol? – Definitely also the lack of information for tourists as well as poor public transportation infrastructure. – Arguable but when it comes to tourism, Bruneians are as adept at criticizing the country’s tourism policy directions as they are at spending their hard-earned (or hard-loaned) money in other countries. …I just don’t think Brunei will ever appeal as a good and worthwhile destination for the typical tourist, at least not anytime soon. Although we do need to give credit to what the authorities have done so far, so kudos to the government and to the people! – On a personal perspective, I don’t think that marketing Brunei as the green heart of Borneo is a problem, not a big one at least. – But on a government/policy perspective, I just think that if Brunei reaallyy wants to rake in sizeable amounts of annual tourist revenue, then it should either widen up its tourism market (to attract more/all types of tourists, i.e. mass tourism) OR seriously put in its effort in developing its niche market, i.e. green heart of Borneo, muslim monarchy kingdom, etc. (to just attract the green/Islam/unique types of tourists, but more of them). – Maybe we can do both, and I think it’s better to do both, but considering the government’s present attitude and pace towards tourism, and of course its limited budget, I think it has to be one or the other in the short- and maybe medium-term. – Talking about our efforts to develop the green heart of Borneo market: the last time I went to Ulu Ulu National Park Resort, the place was not as maintained and as good as I thought. – You make really good points on Brunei’s unique competitive advantages and I wholly agree. – Yes, I think mass tourism can be reconciled with other markets, and it should be that way if we’re really trying to bring in tourist numbers. But there are of course limits, i.e. keeping alcohol banned, not allowing clubs to operate, not encouraging ‘night life’, etc. So I think one reason why the government has not been doing much in terms of attracting (mass) tourism is because of this probably overstated fear that promoting pro-tourism policies will end up with a future generation with corrupted/tainted cultural or religious values. And having KL or KK as neighbours isn’t helping. – I think this question is something that’s really hard to answer. I’m sure we have all been talking of “how inefficient the government is”, or “how long it takes for the government to build a simple overfoot bridge to solve a school traffic problem”, or “sudah kana marahi barutah kan bekraja menteri ah”, etc., and this has been coming out of everyone’s mouths for many years, but people can never seem to come to a solid conclusion or answer or solution. – My take would be: other than leadership, bureaucracy/red tape and simply just the way we Bruneians work, I think one major issue is just that we have too much money! “We have oil” and “kaya kaliah Brunei ani” and that makes us complacent! So I think this issue is something that is super difficult to address only until the urgency surfaces and only until our jobs and our finances are really at stake, e,g. if Brunei’s economic situation takes a turn for the worst, oil almost running out and we haven’t done much to diversify, etc. – OR we can just have high-level meetings twice/thrice a year, EVERY year, and so putting our national ego on the line. I’m sure we’ll be so developed then, lol. Having said all that (a lot of it lol), let me just make it clear that personally, as a Bruneian and as a Muslim, rather than going for mass tourism, i.e. going for the numbers, I see Brunei developing its niche market(s) as the most comfortable option. And I think this is the direction that the government is heading towards, but I just think that we’re not doing as much as we can or as much as we would like to at the moment. The ‘green heart of Brunei’ would carry more weight if Bruneians weren’t so adept at throwing the rubbish from their car onto the few beauty spots that are accessible. Next time you are on either of the two road entrances to the country, look at the sides of the roads. The next time you are down at the beach, look at the car parks. There really isn’t any ‘clean green Brunei’ – not while everyone drives big diesel cars and throws their rubbish in the streets for someone else (a ‘guest worker’ ) to pick up. As far as tourism goes, part of the problem is budgeting. I suggest you guys look into the budget for the tourism board. I vaguely remember their budget being less recently, showcasing that tourism is just not priority, which is strange since that’s the second thing we want to depend our economy on. There’s a whole slew of other problems though, like cultural practises not practised enough for tourist benefits. Traditional performance arts are still freelancers. In Malaysia, those are the people’s full time jobs. Thanks for your comment Teah! These things HAVE to be commercialised; our museums cannot be free all the time either. People might have a fascination with dances and traditional music (which, btw, is a tourism industry in itself) and go to Museum Teknologi only to find mannequins instead of real performance (creepy, white, imperialist mannequins). Some backpackers enjoy culture. When we don’t showcase that culture, it’s our own fault. We cannot just go to China for the ASEAN Expo and have dancers there, but once tourists come here, it’s difficult to find those dancers. That’s just keeping up with a fake appearance and insulting ourselves. I can’t remember when the budget cut was, but I do know it was recent because someone pointed it out! It might have been last year. ALSO, remember the Brunei plays we went to earlier this year at the Stadium? The one we paid a dollar for? THAT WAS AMAZING, RIGHT?! How come we don’t have something like that all. The. Time? Every. Week. Or. Month? Just so tourists can witness our folklores and culture! We have the talent, we have the resources, we just lack drive. Sometimes I think that the answer to everything is: “Brunei’s population is still too small!” – it explains problems such as limited variety of goods and services, limited skilled workers, etc etc. But I have no expertise on this, so I would love to be enlightened. Is tourism the only factor that will develop or drive the need for public transport? What is “enough” tourism, and how do you measure something “worth” promoting? Hasn’t the Brunei Tourism Board decided on how many visitors they want to attract, how much these visitors may spend, and what the investment should be in making sure this happens? Despite all the publicity about the wonders of the Sultanate, it doesn’t live up to the promise – there is almost nothing for tourists to do- there are no cultural/indigenous visitor centres such as in Kuching, the two main mosques are unwelcoming for tourists, unlike the big mosques in Malaysia and Singapore – you can’t even take photographs (which isn’t something that is un-Islamic – other Muslim countries allow it) and locals aren’t particularly friendly when tourists are clearly evident outside the mosques, at making them feel like they would like to show them around – once you are through the door, there’s no-one to show you anything or to discuss Islam in Brunei or the history of the mosques – and people ARE interested. Being from another religion doesn’t automatically make you disinterested in the main religion in Brunei – more likely the opposite… I don’t go visiting churches in Christian countries but am very interested in Buddhist temples, Hindu temples, and on that note – the Buddhist temples in Brunei are very welcoming and encouraging – perhaps the Muslim community could learn something about encouraging an interest? in all our time here we haven’t been inside a mosque – we just don’t feel welcome, and yet, if you were a visitor in my country at festival time, you would be inundated with invites and people would be falling over themselves to show you around their churches or meeting houses. From a purely logistical point of view, the hotels are expensive and difficult to get to – the taxis are exorbitant and unhelpful, the ‘local’ food is indifferent – the best food in Brunei is definitely Chinese, there is no night life at all – even without alcohol, other countries manage a certain level of entertainment. Once the shops are shut, you can get the last person in Bandar to turn out the light because there is nothing happening. And really, nobody comes to Brunei to shop. But, they would like to buy local arts and crafts – if there was any. Visit any big town in Sarawak or Sabah and there are souvenir shops in every mall – but apart from the very tacky t-shirts in Yayasan, what is there that shows off Brunei’s crafts and history? Don’t mention the Brunei Arts and Handicraft Training Centre – incredibly overpriced and the staff are completely disinterested. When it comes to natural wonders, apart from the very expensive Temburong resort, there’s nothing organised at all. And yet, there are so many nice things to see – beaches, lakes, waterfalls, rivers, mangroves, wildlife – but the only people offering anything like a wildlife experience are foreign workers who have taken on the role in the face of indifference from locals. There is the water village, but nothing is organised, and for visitors, it is a bit of a minefield of high prices and good/bad luck. The visitor centre is very good – world class – but there is little in the way of information and the staff in the visitor centre are more concerned with dozing off than giving information to tourists. It wold make an ideal place to have organised tours with other-language-speaking guides – people will pay for that. People will pay to see inside a typical stilt house – it is something they have never experienced before. Think of it – afternoon tea on the verandah of a house in the Venice of Asia, what could be better than that? As someone that has lived here for years, it is frustrating. We love living here, we love the people – you are very friendly and kind, your country has some marvellous resources, but from a visitors perspective, you make it really difficult to enjoy a stay. I am not sure what the remit of the tourism board is, but I suspect it is run by people whose idea of a good time is a big feed down in Gadong, and whose main aim is to get on as many overseas junkets as possible, because there is almost nothing changed from when we first got here 6 years ago. There doesn’t seem to be any effort to find out what tourists want – where are the suggestion boxes, where are the government guides, where are the well-staffed tourist offices? No doubt many Bruenians will condemn me for being so blunt, and that is typical also – the inability to accept any criticism that pervades this place. But if you want to create a tourist industry, you need to accept the criiticisms levelled at you by tourists. Starting a hate campaign against someone that made an unkind (but truthful) video blog is not the way to get more tourists to Brunei. You also need to stop counting every carload of people travelling from Kuala Luruh to Kuala Belait as tourists – they are not coming here for tourism and by doing so you are inflating your ‘tourist’ numbers by millions. I would suspect less than 50,000 people a year are actually coming to Brunei as tourists – as opposed to being stranded by inconvenient travel schedules. Since we have been here nearly all of our familes and friends have come and stayed, and despite half of us being raised in SouthEast Asia, despite being a family of dispersed and adventurous travellers, without exception every one of them has left with the feeling that you could see everything thats on offer in a day and that theres nothing here that isn’t done better, cheaper and more conveniently in Sarawak and Sabah. I think you hit the nail on the head – there is little voluntary tourism. What there is is as a result of bad airline schedules. First off great content..and for a great content in a blog usually generates great/thoughtful comments. So here we are..the year 2015 and i am still hearing/reading the phrase ‘kingdom of unexpected treasure’. Brunei Darussalam is a great country and it is many things, but a tourism destination it is NOT. There are many..many..points that i can think up as to why this isn’t the case. Most of it have already been highlighted in your post. Whenever something comes up that relates to Brunei’s tourism, it struck somewhat a personal chord with me. This is because i used to take a course in MTSSR’s Travel & Tourism Services. Wasted 3 years of my life that i can never get back. 1 would wonder why i would say something blasphemous like that? well that is because if you study tourism in MTSSR..there are no continuation to further your study in Brunei. Diploma is the end of the line. You have to study abroad just for the sake of continuing in that stream. Now, this may seem out of topic in contrast to your post, but bear with me for a minute here. The reason why Tourism has not flourished here is because there are no support whatsoever to accomodate that sort of segment. You dont have to count the facilities or tourist arrivals data to know that, just take a good look at me and hundreds (assuming that the course is still alive) of graduates of MTSSR’s Travel & Tourism Services. For my intake which if i am not mistaken, a total of 15 people. not 1 of us worked directly in the tourism sector after graduation. That is the case with the graduates before and after my intake. It is not that we are picky jobseekers, it is just that there are no jobs relating to tourism that we can fill. So we are forced to search jobs elsewhere. Brunei have been saying for years now that it is diversifying its economy and not to rely solely on oil and gas. But that is not the case. most of our riches still comes from there. The government isn’t doing enough to kickstart tourism, if the Government is fully willing and sincere to diversify its economy, i think in my honest opinion tourism can flourish. by today’s standard even Aceh is speeding by us in its tourism drive. Tourism industry dont have to be about booze, entertainments, or other sinful activities. There is such a phrase nowadays that is called “Islamic Tourism”. Even South Korea promotes that sort of tourism, a country that has less than 35,000 muslims in it, where the main religion there is non existent. why on earth does Brunei,,a country that is known around the world to be a muslim country, led by a muslim ruler, with a philosophy of living that puts Islam in every angle/nook and cranny/ crevices of daily living does not promote that? The answer..well its back to ‘Support’. if there arent any..there wont be any. i just when to japan last year for work. Even Narita International Airport offers a praying room and halal meal, imagine that. We dont have to sacrifice our beliefs to make tourism a mainstay here, we just need to adapt and promote what we got full hearted. not try to promote what isnt there and be half assed about it. I really pity the government for not capitalising on oppurtunities that can really help in kickstarting the tourism sector. and now most of the people that study tourism is working elsewhere for a job that does not relate to tourism in anyway. I am not bitter about my time and studies there, i cherish it and in fact treasure it. i have met wonderful people, great minds and relentless tutors. but the cold hard fact is, end of the line, all that efforts goes to waste. because the end product does not serve the purpose. my end statement is..dont think about the facilities, dont think about the statistics first, dont think about what we have and what we dont, the next logical step to take must be taken by the government. A serious step and not a half assed attempt. Ponder upon this “If you build it, they will come”. and then ponder upon this, as of 2014 international tourism generates US$1.4 trillion. Imagine if we can take say 0.01 % of that sum. that alone can generate $140 million. I am not an economic expert..but that surely can help diversify your economy.